Some video games will rot your brain. This one will try to control it. A mockup Polybius cabinet, likely running the Rogue Synapse version of the game. Urban legends are an integral part of childhood. We have monsters under our beds, and witches who live in abandoned houses. Some locales have more specific legends—Mothman in Point Pleasant, VA, or Ogopogo in the Okanagan in Canada. In Portland, Oregon, they have a phantom video game called Polybius. And the implications of such a game's existence are, in some ways, more frightening than any creature could be. In 1981, a new arcade game appears on the floors of arcades in suburbs of Portland, Oregon. This game is immediately popular to the point of obsession; long lines form around the unmarked cabinet and fights often break out over who will play the game next. Though there are no reliable descriptions of the actual gameplay, it is known that the graphics were unusual and intense, often featuring geometric patterns. Those who played it began experiencing is unpleasant side effects: amnesia, insomnia, night terrors, hallucinations, and other effects, as well as a newfound disinterest—some even called it an aversion—towards video games. On top of the strange symptoms, the machines were said to be visited frequently by men in black suits who opened the backs of the cabinets and poked around—some accounts even state that they took down the names of high score holders during these visits. The appearances of these men suggest connections to some sort of government agency—what would they be doing with a video game? Is it a mind control experiment perpetrated by the CIA's MKUltra program? Is it the military, looking to recruit talented players for some sort of drone piloting mission? What do the men want? About a month after their mysterious appearance, the cabinets disappear from arcade floors. To this day, no one has seen a Polybius cabinet, either in whole or in part—whatever its purpose, it appears to have been fulfilled. A screenshot of coinop.org, the website where the first mention of Polybius appeared in 2000. The disappearance of the cabinets marks the end of the 1981 narrative, but a new chapter opened on February 6, 2000. An entry for a game called Polybius was added to the popular retro gaming forum coinop.org. It contains the name of the game - the first recorded mention of such a name—and a copyright date of 1981, though no such copyright was ever filed. The user that created the entry claimed to be in possession of an original ROM image of the game's title screen, and that he had extracted fragments from it such as "1981" and "Sinneslöschen," which appears to be the name of the game's developer. The rest of the information is listed as "unknown," and the "About" section merely describes the rumors and legend surrounding the game. This entry sparked a buzz in the retro gaming community, and coverage began appearing in major gaming publications. However, no concrete evidence of the game's existence emerged, and the conspiracy quieted down. Until 2006, when a post on a gaming thread offered another tantalizing clue. A man going by the name Steven Roach claimed to be part of the team that programmed Polybius - he claimed to work for the mysterious company Sinneslöschen in Switzerland, and described the game's contents in more detail. According to Roach's narrative, the reason for the game's sudden appearance and withdrawal is that a boy had an epileptic seizure while playing the game, and the company withdrew the machines in a panic. Though Roach offered no proof for these claims, his descriptions of Polybius gameplay would later inspire the game developer Rogue Synapse's version of the mythic game. A screencap of the popular arcade game Tempest; some theories cite Polybius as a probable prototype of this game. So is there any truth to the legend? Was there really a sinister, government-created arcade game tested in Portland? All of the research conducted on Polybius seems to indicate that no, there wasn't. Though there are numerous cabinet mockups and approximations of gameplay for Polybius, no authentic cabinets or ROMs of the game have ever been located. Magazines that were dedicated to gaming during that time period never make mention of the unnamed arcade demon later known as Polybius - the name is theorized to only have emerged when the coinop.org user used it in his entry. Ironically, Polybius is also the name of a Greek historian who is well-known for his assertion that historians should never report information that they cannot corroborate with witness interviews—something that has been decidedly lacking in the Polybius arcade myth. Writer Brian Dunning believes that the myth emerged from several sources. Firstly, he notes that two arcade players fell ill on the same day in 1981. One of them collapsed from a migraine headache after playing Tempest (which has its own place in Polybius lore) and the other suffered stomach pains after playing Asteroids for 28 hours in the same arcade during a filmed attempt to break a world record. Secondly, Dunning cites the fact that the FBI raided several arcades in the Portland area just 10 days after those players fell ill—arcade owners were suspected of using arcade machines for illegal gambling. Most interestingly, the lead-up to these raids involved FBI agents monitoring arcade cabinets for signs of tampering and recording high scores—exactly like the men in black allegedly did with Polybius. Dunning believes that these two events were blended into the legend of a government-monitored arcade game that was making players sick—according to him, the myth that became Polybius could have been established as early as 1984, when it would also have been influenced by the plot of The Last Starfighter. As icing on his Polybius-debunking cake, Dunning describes the company name "Sinneslöschen" as "not-quite-idiomatic German" meaning, roughly, "sense delete" or "sensory deprivation". This meaning is derived from the German words "sinne," meaning "senses," and "loschen," a verb meaning "to extinguish" or "to delete." He considers it to be the type of name that a non-German speaker would create if they tried to create a compound word using an English-to-German dictionary. Other theories include the idea that the whole myth is a case of mistaken identity—that Polybius never existed at all. Instead, some believe that it was actually a game called Cube Quest, which was released in arcades in 1983. It's a shooting game with surreal visuals—this description is not unlike Roach's description of Polybius. These visuals were created by a laserdisc and thus were far ahead of typical games in the era. Unfortunately, this technology was faulty, and would often have to be visited for maintenance due to its frequent breakdowns—the game would be removed from arcades a short time after its release for the same issue. Many commentators believe that those who claim to remember seeing or playing Polybius are actually remembering Cube Quest. Still others believe that the game was merely a prototype of Tempest and that the game was withdrawn to tweak before the actual release. Some critics don't even think that the myth emerged in the 80s. Stuart Brown, a British filmmaker and video game journalist, could not find any evidence of the urban legend existing until the year 2000 when it appeared on coinop.org. This led Brown to believe that the entire legend is a hoax, created by coinop.org's owner, Kurt Koller, in order to increase the traffic to his website. Brown states that the popularity of conspiracy theories and the viral nature of other Internet hoaxes at the time would have driven Koller to create such a hoax, and he believes that all of the "evidence" for the myth's origins in the 1980s is simply retroactive justifications of the myth's existence. He also theorizes that the accounts of people remembering seeing something about Polybius on Usenet in 1994 are misremembering articles on the Publius Enigma, a riddle posed by an unknown Usenet user at the time that appears to be connected to Pink Floyd's 1994 album The Division Bell and remains unsolved. At the end of the day, Polybius has bled into our current pop culture atmosphere, both as a standalone game and as an Easter egg in gaming related media. In 2007, PC freeware developers and arcade mockup constructors Rogue Synapse registered the domain name sinnesloschen.com and offered a free downloadable game titled Polybius. The gameplay and design are partially based on Steven Roach's descriptions of "original" Polybius gameplay - with the gaps filled in, of course. The result is a 2D shooter that resembles Star Castle, with visual effects that are extremely intense. The company also duplicated the distinctive title screen posted in the coinop.org posting. The game is made for PCs mounted inside arcade cabinets, and most mockup Polybius cabinets run this version of the game. Chris Trimiew, the owner of Lost Classics, is the author of a homebrew Atari 2600 game also named Polybius—however, the gameplay does not claim to be based on the original game, and Trimiew expresses doubt that the Atari 2600's hardware would be able to emulate anything close to the original mythic arcade game. His version is a simple crosshair-based shooter that resembles Star Raisers, except that the screen occasionally flashes "subliminal messages" such as "DEATH" "PAIN" and "SUFFER." Trimiew marketed the game as a limited run of 30 cartridges at the Portland Retro Gaming Expo on October 5, 2013. 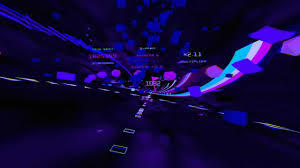 And most recently, Llamasoft announced a game titled Polybius for the PlayStation 4 with support for PlayStation VR in 2016. The game was added to the PlayStation Store on May 9, 2017. In initial marketing, Jeff Minter, the game's co-author, claimed to have been permitted to play the original Polybius arcade game in a warehouse in Basingstoke, England. He would later acknowledge that the game was inspired by the urban legend, but does not attempt to recreate the original gameplay. In an episode of the Simpsons titled "Please Homer, Don't Hammer 'Em" (2006) a Polybius cabinet appears in an arcade full of outdated games from the 70s and 80s. The cabinet bears a single red button and a stamp with the words "Property of US Government." It appears on a T-shirt in Vertigo's House of Mystery TV series (2008). The music video for Less Than by Nine Inch Nails (2017) features a game titled Polybius. It appears in the background of an arcade scene in the Canadian horror film Summer of '84 (2018).